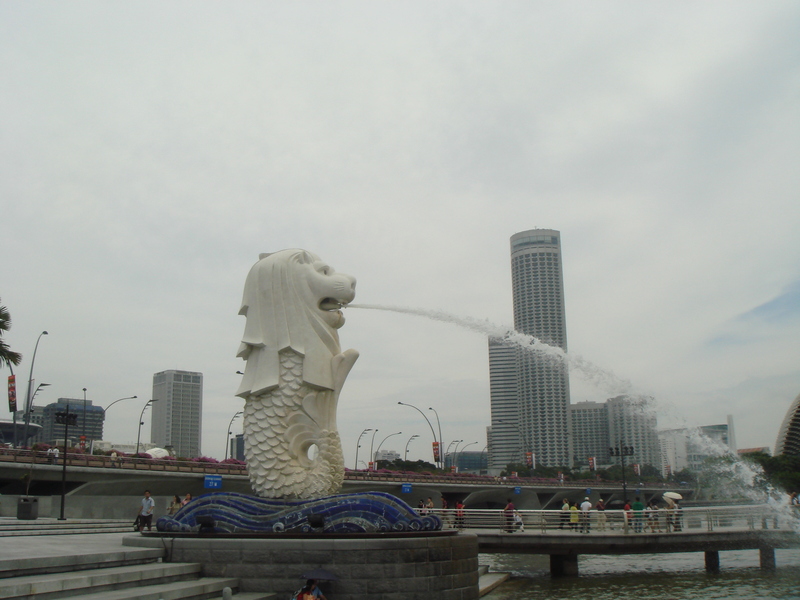 Singapore’s history begins with the Sumatran Prince, Sing Nila Utama sometime in the 14th century. Legend has it that when he landed on the island, then known as Temasek, Sing saw a white lion crouched at the edge of the sea. Believing it to be an omen, he re-named Temasek Singa Pura, or Lion City. Singapore’s modern history began when, on February 19, 1819, Singa Pura’s Malay Ruler, Tengku Long, signed a Treaty with British Governor Sir Stamford Raffles, allowing the establishment of a port. Soon after, Singapore became a British colony, with Sir William Farquhar as Governor and Tengku Long, now re-named Hussein, as Sultan..
Trade coursed through the new port, which was free and open to ships from any nation. As migrants flooded in from China, India, Malaya and Europe they were assigned to their own separate areas of the city. The population burgeoned and Singapore flourished, taking the lead in Asia as melting pot for different ideas and cultures. On February 15th, 1942 the Japanese took control of Singapore and re-named it Syonan-to or Light of the South. Japanese became the official language and all systems and institutions were run by the Japanese. British and allied Singaporeans were interned. Chinese and Malay Singaporeans were pressed into slave labour. Times were hard and the regime harsh. Rationing was strict, food was scarce and malnutrition commonplace. Independence from Britain followed the post-war re-build and in 1963, Singapore joined Malaya, Sabah and Sarawak to form Malaysia. The union was short-lived and Singapore separated from Malaysia on August, 9, 1965. Enormous efforts were poured into ensuring the new, independent island state’s survival. Changi airport was built and Singapore Airlines established. Oil refineries and the electronics industry were fostered. A world class financial market was developed and the port of Singapore became one of the busiest in the world. Today, Singapore is a thriving, modern industrial city state with a clean, green environment. It still leads as melting pot of ideas and cultures and it looks set for an exciting future. A wealth of great museums tell Singapore’s story. The following three, in particular, are a must for a fascinating insight into Singapore’s past, present and future. Fort Siloso Museum on Sentosa Island recaptures seafarer, Sing Nila Utama’s adventures, British colonization, the lives of some the settlers whose grit and determination built early Singapore and the dark days of the Japanese occupation. The Asian Civilisations Museum, in Empress Place looks at the context of rich and varied Asian cultures in which Singapore sits and also at the unique Peranakan, or Straits Chinese culture with its beautiful traditions of furniture, china, costumes, food and customs which such an important part of Singapore’s story. The Singapore City Gallery shows Singapore as it is today, with a 3D model of the island, an aerial map, a map pin-pointing interesting nooks and crannies, a transport map, models of Singapore’s architectural highlights and glimpses into future developments and best of a “planner’s table” which allows visitor’s to play at shaping the Singapore of tomorrow.